5 Reasons Why You Should Say ‘I Do’ to a Wedding Planner! Sure, your mind has already started wandering and is thinking about how it's a ball to ooh and aah over cake designs, decorations and the exciting jumping-around time for the perfect venue, just the way they show in those Sooraj Barjatya movies (pun intended)! Haven’t we all secretly wished to just laze around in our pajamas and put on those dreamy wedding glasses, while an expert takes care of all that boring wedding taam-jhaam? There's nothing wow about researching mini-buses for guest transport or bargaining for gulab jamuns with the caterer. A wedding planner can indeed be your life saver, if you are planning something as special as your wedlock day. It’s crucial to ask yourself - what can a wedding planner actually do that I cannot possibly or is hiring a wedding planner the right choice? Well, yes it is! 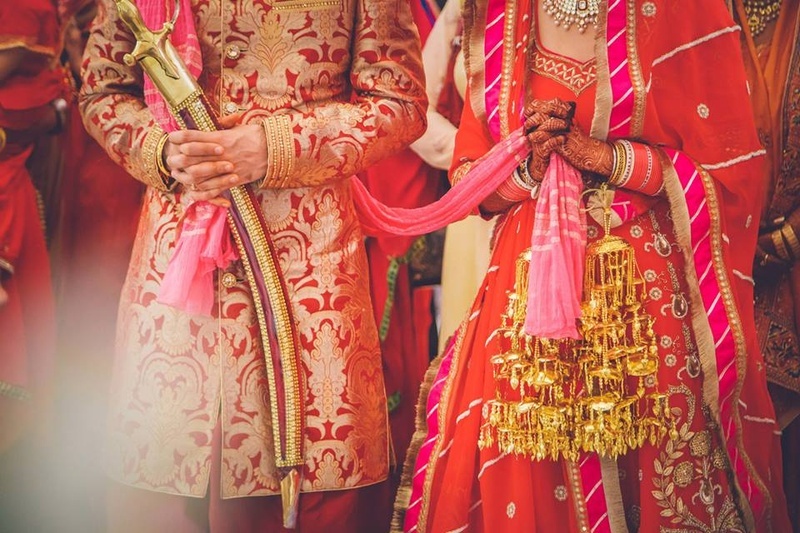 Whether it is a lavish Bollywood-themed wedding or a small budget affair, a planner can help you execute everything from scratch! So, here are a few reasons why you should hire a wedding planner. You deserve a fairytale wedding story! Of course, you do! Your wedding day should be one of the best days of your life. No glitches and obstacles should come in the middle of your big day! So, your wedding planner can take care of everything. From the décor of the venue to the catering and guest management, they will make sure that everything is in place. A pro can help you save some moolah. A wedding planner can help you stay on a budget. You can hand over all your responsibilities to your wedding planner as he will obviously know where he can do the arrangements and will not overspend. You might spend more than the amount decided, but a wedding planner will not! In terms of keeping a track on expenses, a wedding planner will be the right choice. Who really wants to panic about the cakes not getting delivered or the flower girl throwing tantrums? Your wedding planner will take over all the responsibility, so you can enjoy those beautiful pre-wedding moments with your partner. Hiring a wedding planner also gives you the much-needed time to take care of yourself and spend some fun time as a bachelor or bachelorette. Finding the right wedding vendors who can help turn your vision into reality! What makes you think that your judgment would be better than that of a professional? Well, a wedding planner has seen many vendors in action and can get the deals at the best prices. You might have thought of a gorgeous lawn wedding under the sun, a beach wedding or anything unique and exciting. A wedding planner will arrange it just the way you want. He or she will help you define the look, style and mood of the whole event. So, even if you have a vague idea for your wedding day, a theme or an exclusive plan, your wedding planner can execute it the way you want. Isn’t it cool to simply tell others “talk to the wedding planner?” A wedding planner is a must, especially when you want to host a wedding in another place. The place you think will add that drama to your wedding. Dreamy and romantic, a wedding so perfect just like a fairytale. A wedding planner is the only rescue angel! He can gather all the ideas and together make your wedding a big hit. Planning a wedding is not just the romantic experience one would expect it to be. There are many details to take care of, be it the meddling family and friends or the dramatic vendors. Whatever your ideas are, offbeat or traditional, kick start your plan by finding a reputable planner who is as enthused about everything as you are. Let your over anxious aunts relax a bit and have that second piece of fattening wedding cake!